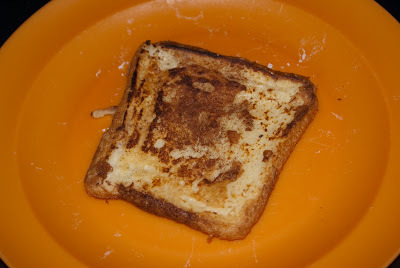 Randi Brooks: French Toast Friday!!! I decided to try and undress in my sleep again! After Dada got me out of my crib and changed my diaper he made me French toast! It looks YUMMY!!! It was delicious! I cant wait for him to fix it again!! !